Everyone has free advice, but you must consider the source. It seems that both professionals and the uninitiated agree that the shotgun is a great home defense firearm. The shotgun is a good choice for those willing to practice and master the beast, otherwise it isn’t viable. The forefinger is on the bolt release to release the bolt. The hit probability and wound potential of the shotgun are unequaled for those that practice. If someone says “You can’t miss with the shotgun,” it is time to run not walk away from this advice. Shotguns are heavy, have low capacity magazines, and kick a lot. Folks tend to hang things on them that intrude upon rather than enhance the shotgun’s best features. 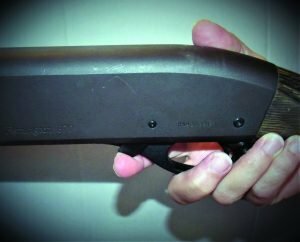 If you have a sporting shotgun with a 24- to 28-inch barrel it isn’t hopeless for home defense. In over thirty years of police and security work I cannot recall a single incident in which a homeowner used a purpose-designed “riot gun” to save their life and there were several incidents each year with the shotgun. On the other hand the 18- to 21-inch barrel shotgun handles quickly in tight spots and is the best choice for home defense. If you are purchasing the shotgun for sporting purposes then you may work with the piece in drills in the home. If the primary concern is home defense, then choose a shorter barreled, fast handling shotgun from the beginning. 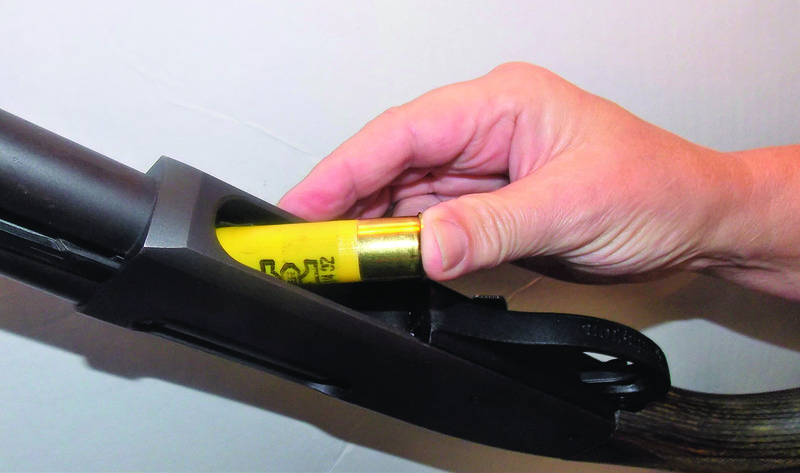 The slide action shotgun is loaded from beneath into a tubular magazine. I am going to include the security shotgun known in police circles as the riot shotgun and also the 20-gauge pump action shotgun which is usually a 21-inch barrel shotgun. Either will save your life if you have trained in their use. I train hard with my shotguns because they are the best tool for many jobs and they demand that I master them to control recoil. A shotgun with a standard stock should be chosen, either wood or synthetic, and it should have a decent recoil pad with enough length to have some give when the shotgun fires. This cushions recoil and makes a big difference on the shoulder. Never choose a shotgun with a pistol grip instead of a stock. They are very difficult to use. The cruiser style shotgun kicks practically out of the hand and isn’t useful past a few yards. It isn’t cool when you shoot the wrong person or you cannot defend yourself with this beast. This is an express aperture sight, a good choice for all around accuracy. There is a certain natural point inherent in the shotgun, but it must be aimed. If you encounter a running threat and you have practiced, you will be able to address a running threat, human or animal, and contact with the shotgun. You must practice to accomplish this. 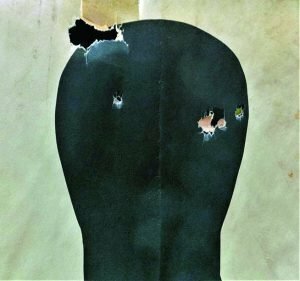 You do not have to lead the target to 20 yards or so but keep the shotgun bead on the outer edge of the target in the direction they are running. Do not press the trigger and stop, keep the swing going and the bead on the target as you continue to swing the shotgun. In home defense you will very seldom encounter a moving shot, but the shotgun load must be centered on the target. 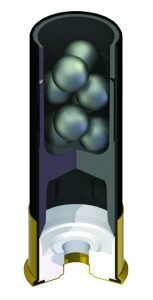 The modern 12-gauge 00 buckshot shell will place its entire load of eight or nine buckshot balls into a spread that may be covered with your hand at 7 yards. This concentration has excellent wound potential. By the same token this load must be centered in order to achieve a shutdown of the threat. Place the front bead on the center of mass and fire. Do not fire from below eye level, this is a recipe for disaster. Recoil is actually greater when the shotgun isn’t held close in to the shoulder. The body should be angled forward and your weight braced against the shotgun. 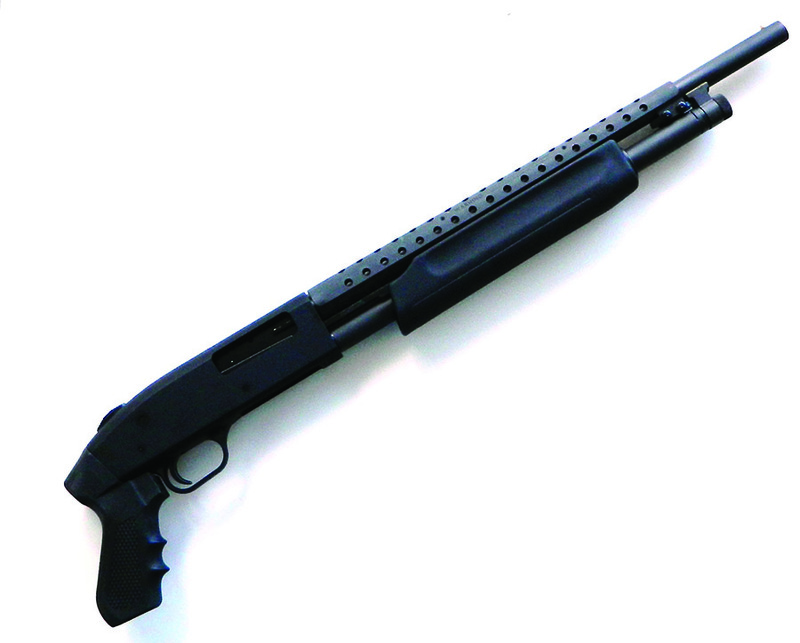 The pump action shotgun is the best choice for most of us for personal defense. The XS big dot is a first class personal defense sight. The shotgun should never be kept at home ready with a shell in the chamber. The magazine should be loaded. You should practice quickly releasing the bolt by the bolt release, located near the triggerguard, and then racking the bolt quickly to load the shotgun chamber. You should also practice unloading the shotgun in the event that you do not fire and need to move the shotgun back to home ready. 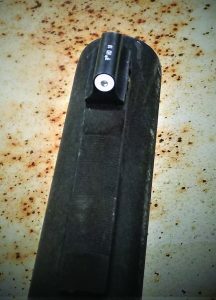 When the forend is brought to the rear, the shotgun bolt is moved to the rear. A shell leaves the magazine and the shell carrier captures the shell. As the forend moves forward the shell is chambered and the bolt is locked. The trigger is pressed, the shotgun fires and the bolt unlocks. The forend is easily racked. If you wish to unlock a shotgun with a locked bolt the bolt release must be used. 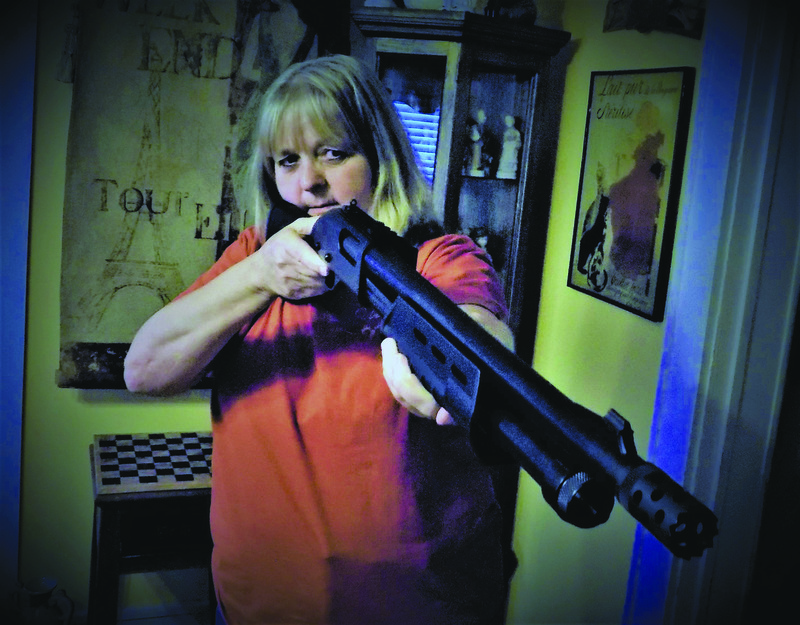 While some will state that a home invader may lose control over their bodily functions at the sound of a shotgun being racked, and made ready you cannot rely on this. There are many hallucinogenic drugs and painkillers in use by our protein-fed ex con criminal class and they may not even hear the shotgun being racked. It is preferable to make the shotgun ready before confronting the threat. Hornady 00 buckshot is a good choice for personal defense. Let’s address short stroking. This is when the user racks the slide but doesn’t finish the motion. 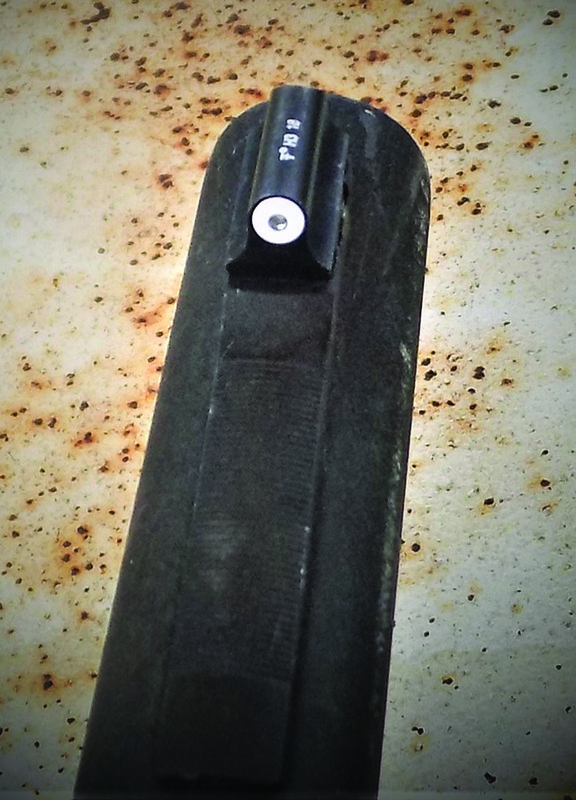 The shotgun bolt isn’t brought far enough to the rear and the shooter begins to move the bolt back before a shell has entered the chamber. This may result in a tie up that is difficult to clear. A proven technique is to slam the stock down hard on the ground to cause the bolt to return to the rear and remove the bolt to battery. The length of pull (LOP) of the shotgun is the measurement from the back of the stock to the face of the trigger. Some LOPs are pretty long. A solution is the youth model shotgun. Both Remington and Mossberg offer pump action shotguns in 20-gauge and in youth model configuration. Self-loaders are generally less reliable than pump action shotguns―at least a dirty pump is more reliable than a dirty self-loading shotgun. Some shotguns, such as the Benelli M4, Remington 1100 and Browning Auto 5 are very reliable and in some cases may be easier to handle than a pump action shotgun. Keep the shotgun clean and well lubricated and when action is needed simply rack the bolt to make it ready. It will fire each time the trigger is pulled. This is an advantage of the self-loader. For a shotgun that will be placed at home ready for many months perhaps the pump action shotgun is the better choice. 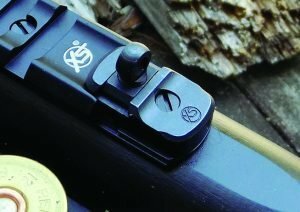 There are several types of shotgun sights. 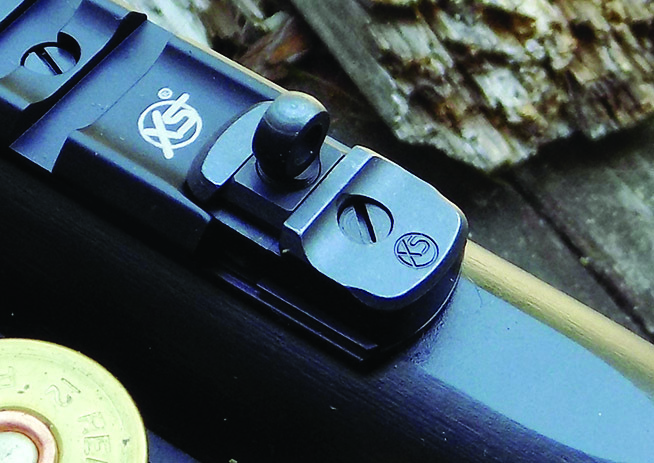 The simple bead front sight, used for hunting flying birds or moving small game, is ideal for most home owners. The bead is simple and compliments the shotgun’s excellent natural point. However there are those that prefer aperture or Ghost Ring type sights. A large ring near sight appears to disappear as you look through it and the eye focuses on the front sight. These sights are very fast, but no faster than a bead. They are good choices for those that wish to keep a certain commonality with the rifle they also practice with. Winchester’s awesome PDX load features a one-ounce slug and three buckshot for the payload. If you use solid shot such as a 1 ounce slug in the 12-gauge shotgun, the Ghost Ring provides excellent accuracy. The sight leads the eye to the front post and with this type of sight good accuracy may be had to 50 yards or more. Using a first quality slug such as the Fiocchi Aero slug, even a smooth bore shotgun may group three slugs into four inches or less at a long fifty yards. This will put meat on the table or take out a rifle armed threat. The Fiocchi slug is offered in three different power levels for personal defense and hunting at both medium and long range. For a home defense situation the best sights I have yet tested are the XS big dot front sights. They use a tritium insert in both the front and the rear sights in the DXT type and offer true 24-hour function. They are also useful in daylight. Shotguns are measured in gauge, a throwback to a long ago day when the size and weight of the shells were becoming more uniform. The 12-gauge would throw a load about 1/12th of a pound and the 20-gauge 1/20th, or it would take 12 bore diameter balls to make a pound as the measurement goes for measurement, as so on to the 28 gauge. The 12-gauge shotgun is the most effective by weight of the payload. The 20-gauge shotgun is acceptable for home defense. The 20-gauge delivers approximately ¾ the load of a 12-gauge with perhaps sixty per cent of the recoil. The 20-gauge is a viable load, a proven performer, and will cut a bloody rat hole at seven yards. At close range buckshot must be aimed as closely as a rifle. There are many sizes of shot. Birdshot, as an example is available in 7 ½, 8 and 9 shot. There will be hundreds of pellets in this load. Birdshot is intended to kill a small fowl or mammal with a few pellets. This type of payload isn’t suitable for personal defense. Buckshot is named for the game it is intended to take. A shotgun with a tightly constricted barrel (Full Choke) may retain a pattern that is cohesive well past twenty five yards. 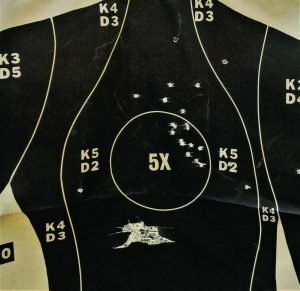 Some states have buckshot-only zones for hunting as buckshot doesn’t carry nearly as far as a rifle bullet. Interestingly an open choke shotgun and a full choke shotgun often do not perform significantly different at 7 to 10 yards. 00 buckshot is the recommended defense load. 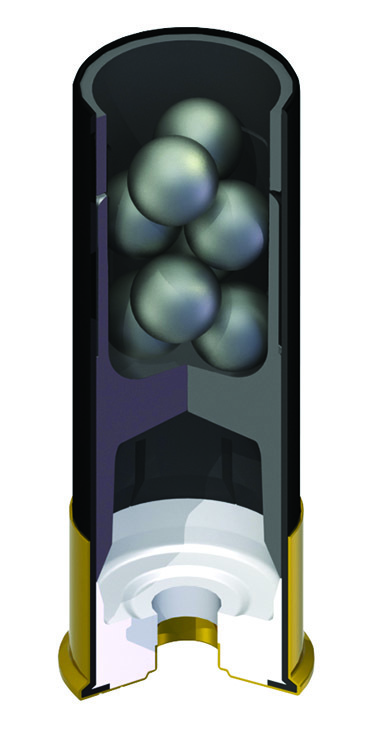 Eight or nine .33 caliber balls are carried in each shell. Reduced recoil loads are available that develop about 1200 fps versus up to 1600 fps for full power loads. 1200 fps is plenty of power for personal defense. #4 Buckshot uses smaller shot and may propel 27 smaller pellets. # 4 buckshot is often recommended as a load that delivers less penetration. 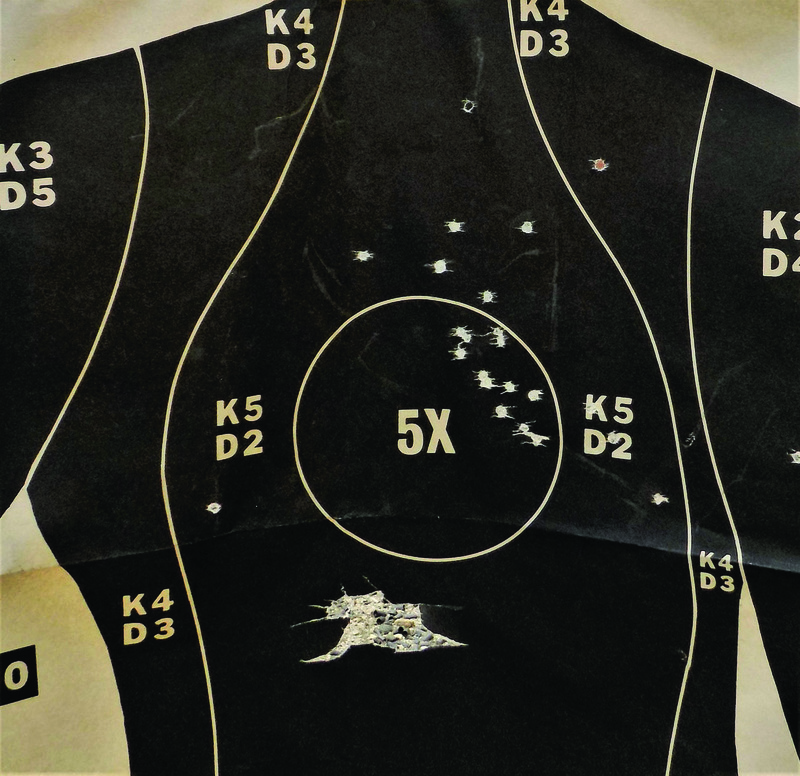 Buckshot offers excellent wound potential at home defense engagement range. Note that there is often a stray shot on paper. For home defense this is a reasonable load and it has even been issued by police agencies in order to limit penetration in urban scenarios. Another choice is #1 Buck. Midway between the larger and smaller buckshot sizes, #1 buck uses 16 pellets. When it strikes the body buckshot usually travels in pairs increasing damage. While I prefer 00 buckshot #1 and #4 have merit. The new Hornady #4 Varmint Express, as an example, is an excellent load if fast moving targets such as feral dogs and coyotes are a concern. For area defense 00 buck is preferred. Another option is a slug. This is simply solid shot. The 12-gauge .72 inch slug weighs 500 grains on average, although some weigh considerably less and there are specialty loads that weigh over 700 grains. (They are a daunting proposition to fire!) These slugs are useful for taking deer and boar-sized game at 50 yards or more. The cruiser type shotgun is a poor choice for personal defense. Some question the effectiveness of buckshot and prefer slugs. The preponderance of evidence points to superior effect with slugs. But buckshot offers superior hit probability in most scenarios. Slugs may offer more penetration than the homeowner is willing to accept. For defense against dangerous animals such as bears slugs are the top choice. The means of determining the range at which slugs should be deployed is by firing at paper targets. A-range is usually 7 to 10 yards. At this range the shotgun must be aimed as carefully, as a rifle, in order to strike the target. B-range―usually around 15 to 20 yards is the range at which the spread of the pattern is an advantage in hitting the target. Perhaps just over fifty per cent of the buckshot load strikes the target. 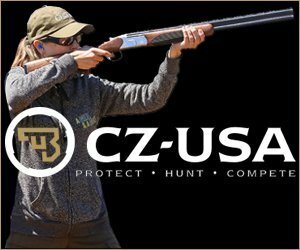 C-Range is the range at which the buckshot load has spread to the point it is no longer useful. This is usually 20 to 25 yards. At this range slugs should be used. Slugs usually strike just above the bead on a bead sighted shotgun, sometimes just under the point of aim. The slug is singularly effective in personal defense. Recoil is there but Fiocchi’s reduced recoil slug at 1300 fps allows greater control. A simple bead sighted shotgun is a great choice for home defense. The shotgun is more than a firearm―it is a versatile weapons system capable of taking practically any game animal at the appropriate range. In personal defense there is no superior firearm. Carefully consider your needs and you may elect to invest the time and effort needed to master the shotgun.